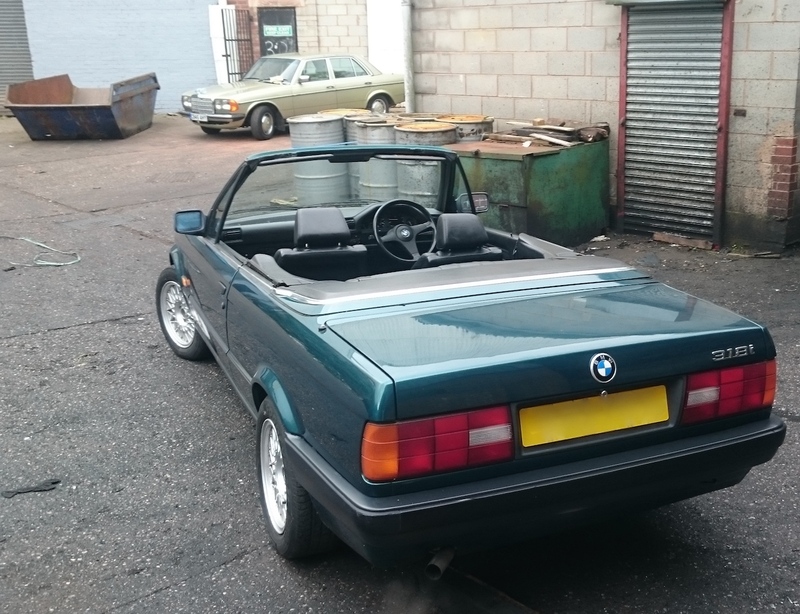 You may recall back in summer 2015 we sold a red BMW E30 Convertible. This car came to me as a project. The roof had long since expired, and in three nights of terrible rain the roof gave way completely, leaving me with swimming pools in the front and rear footwells. Thankfully the seats are leather and I’d been treating them with a high quality balsam so they were unaffected! When I removed the seats to assess the rain damage, it became obvious that the carpet was simply too waterlogged to salvage. I removed all of the interior carpet to assess, and was both relieved and surprised to find NO ROT OR RUST beneath it. This means that the roof leak was not a regular occurrence! 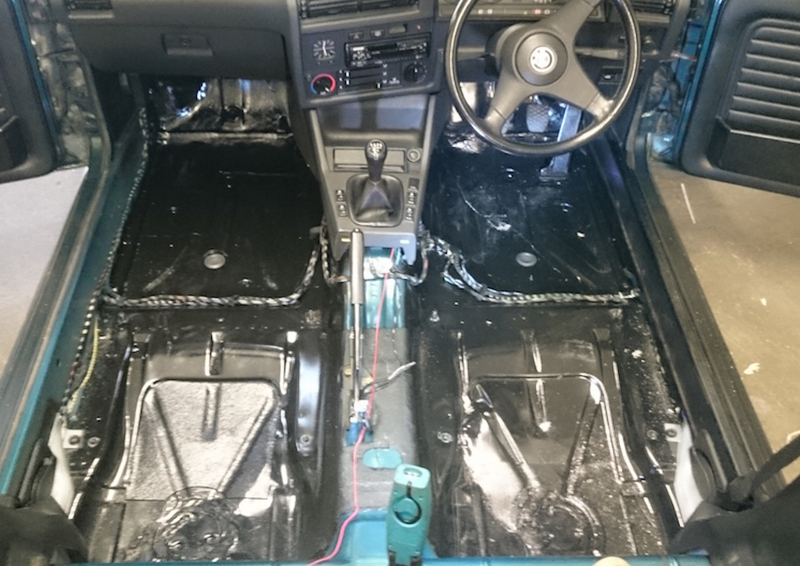 After drying out all of the footwells, I cleaned them up then treated the paint with black, anti-rust metal paint before having a professional trimmer (Tim the trim) re-fit new carpet to the car. With a fresh set of tailored mats, the inside was complete. A new roof was ordered from the USA, which Tim the trim fitted after removing the old, expired roof. This new roof is a very high quality item, easily as good as any of the German ones. It’s a mohair hood, so if you do buy the car, please, please never use any shampoo on it! Just water is fine… Tim the Trim says you can expect 10 years out of a roof so long as it’s looked after, 6-7 if not. He also said it needs a bit of time to be ‘weathered’, which is why in some of the photos it looks saggy at the rear of the car… It’s not, it’ll settle. 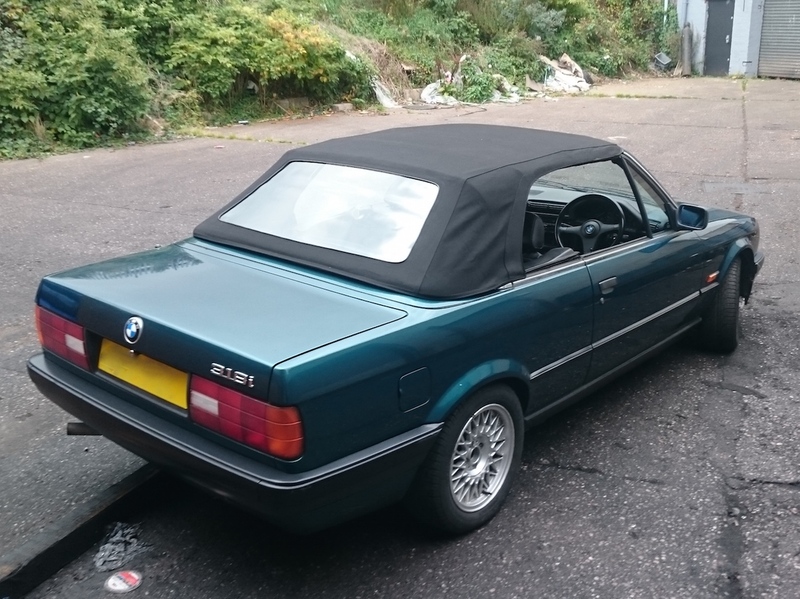 Photos were taken just days after the roof was fitted and the car hadn’t seen anything other than the inside of my storage unit until then, so a few days of rain and a bit of sunshine will sort it right out. 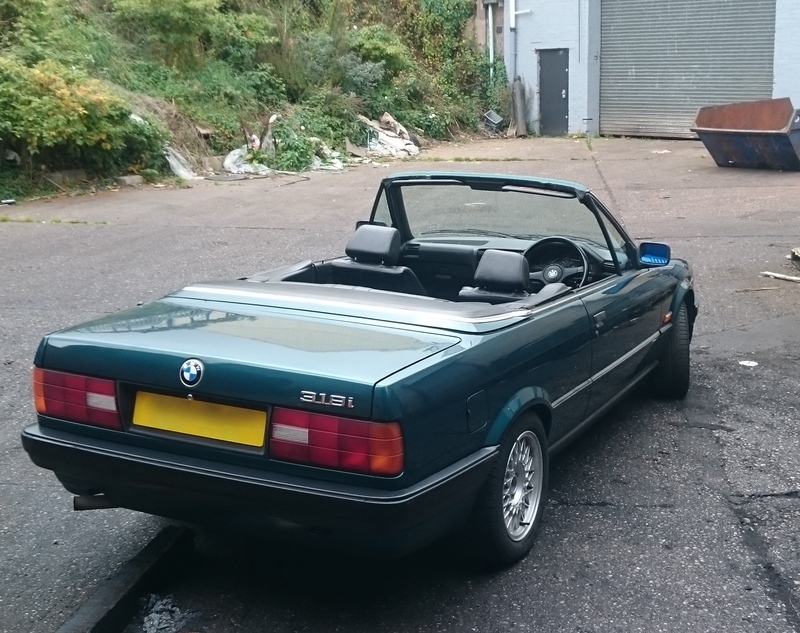 There is no rust on the car, all of the arches are in fine condition, which is rare for cars of this age, especially the E30 which is prone to rust. The paintwork on the car is very good indeed. The car came to me as a non runner with an immobiliser issue. I had a mechanic check the car over and spent £260 on a full service. It now drives as it should, idles fine, runs at normal temperature for the engine and is generally a pleasant little motor all round. Doesn’t use any oil or coolant, doesn’t drip any oil. – Very few documents came with the car, the service history was missing when the car came to me and I had to send off for a V5, which is now in my name. – The car is listed as an insurance write off back in 2012. This is understandable because values of these were low 3 years ago, so any minor damage would result in a write off. 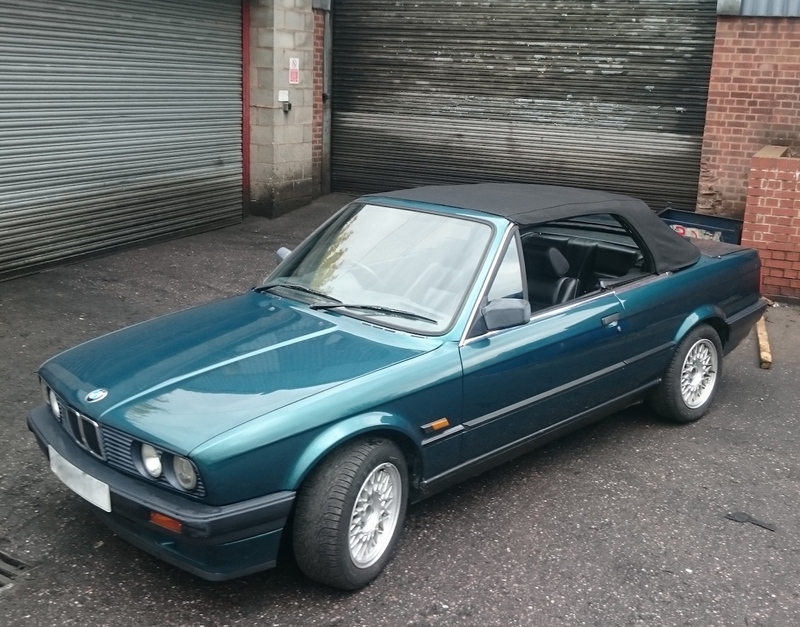 It has been repaired to a very high standard and really shouldn’t be a concern to the new owner, any check is welcome. – The wiring could do with checking, the central locking will work using the boot (?!) but not the doors, although the central locking works fine this way, but you might get bored of walking around to the boot every time! I suspect this is due to someone fitting an aftermarket alarm at some point in the cars life. 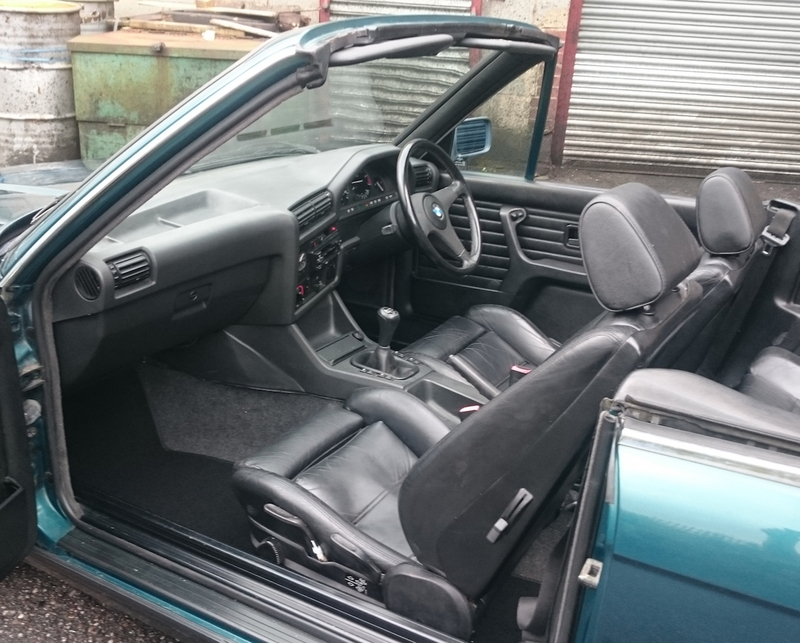 Overall, a very usable classic car that’s not going to lose you any money, prices are only going one way! 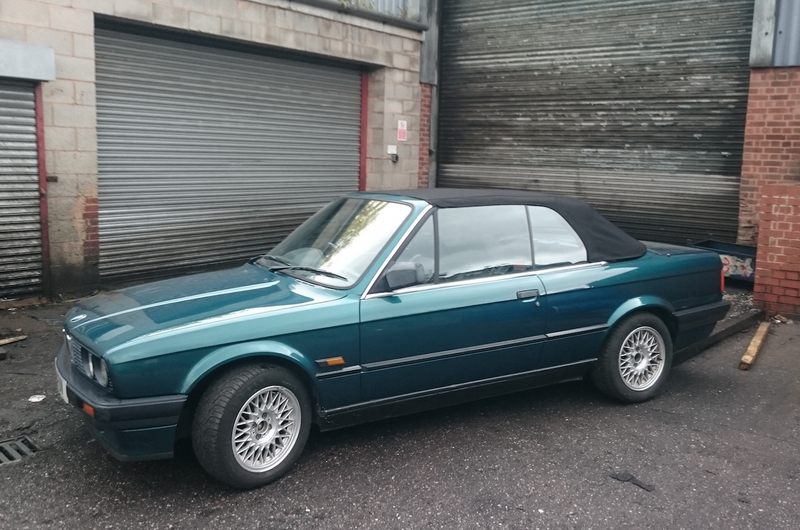 This is the second E30 I’ve come across, if you’ve been looking for one of these for a while you may have seen the red one with ‘coke bottle’ wheels which sold back in July for £3100. Personally, although this car doesn’t have much in the way of history, I think it’s a better car, so I’ve priced it accordingly and am open to offers. Sounds like a very good deal. The car is real beauty!